TOP 10 REASONS TO WORK IN MONTANA! 1. 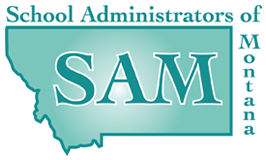 "Teaching in Montana is not only a great career choice, but a wonderful life choice". Jamie Stubblefield, Montana Teacher. 2. Montana's economy is thriving. 3. Cultural and recreational activities are outstanding and abundant. 4. Excellent professional development opportunities. 5. Easy access to universities for advanced degrees, endorsements and course work. 6. The last best place for colleagues and honest relationships between schools and families. 7. Montana kids were never left behind. 8. Approachable and helpful district, regional and state leadership. 9. Enjoy a quality of life next to none.